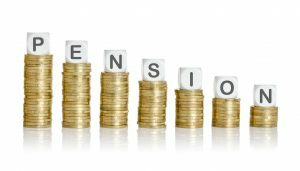 At a town hall meeting in Kansas City last week, retirees discussed massive pension cuts proposed by the Central States Pension Fund, which covers 400,000 participants, and that will almost certainly go broke within the next decade. A controversial 2014 law allowed the pension to propose cuts, many of them by half or more, as a way to save the fund, and two much smaller pension funds have sought similar relief under the law. More pensions are significantly underfunded. This is a microcosm of what’s coming to the rest of the pensions in the United States. Public sector pension funds are grossly underfunded in places like Chicago and Houston, while private sector funds are struggling to deal with rock-bottom interest rates, which put pressure on expected returns and thus drive the present value of funds’ liabilities higher. The Illinois pension burden has brought the state to its knees. In November, Springfield was forced to miss a $560 million payment to its retirement fund. In the private sector, GM has said it will sell 20- and 30-year bonds in order to meet its pension obligations. At the end of last year, GM’s US hourly pension plan was underfunded by $10.4 billion. About $61 billion of the obligations were funded for the plan’s roughly 360,000 pensioners. Retirees are frustrated, but the fund is simply running out of money. It can’t stay afloat if it continues to pay out $3.46 in pension benefits for every $1 paid in from contributing employers. The fund is projected to go broke by 2026. Without the proposed cuts, no benefits at all will be paid from that point forward. Cuts reportedly range from around 40% to 61%.